Sucheta Bandhopadhyay turns pages of the Mahabharata to compare the pattern of ancient crime with the Sheena Bora murder mystery. Bharata Daushanti was an ancient king of the Lunar dynasty. He was a great emperor. In fact, Bharatavarsha (Bharata+ ‘Varsha’ means land) or India was named after that legendary king. He was known as a magnificent ruler. After growing old king Bharata faced a unique dilemma. According to the old Aryan tradition Bharata was supposed to retire from kingship and adapt Vanaprashtha, handing over his kingdom to the deserving successor. Bharata had three queens. The Mahabharata, however, has mentioned name of one of them only. That was Sunanda, the princess of the ancient Kashi kingdom. Sunanda was probably the senior of the lot. Bharata had two more queens and nine sons. But the king was not at all happy with either of his sons. He, in fact, was extremely disappointed with all of them. Bharata was exceptionally conscious of his kingdom’s welfare. He used to spend all his time thinking about good for his people. But none of his sons could inherit that quality. One day, out of frustration the king finally disowned all the nine sons. Hearing the news the queens were extremely scared. They were unhappy with the sons too. The Mahabharata has clearly mentioned that. 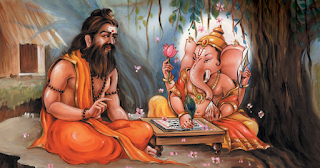 But the insight has been provided by the Bhagavata Purana. It has clarified that the queens got angry with the sons mostly out of concern. They thought that the king has already disowned his own sons for not inheriting any of their father’s qualities. None of them were like their father, the king believed. Considering that the queens actually feared that the king can also doubt the origin of those children. And that in turn would question their loyalty towards their husband. Bharata might also think that he perhaps was not their original biological father! Then in that case, the king could abandon the queens too. Where would they go without the fame and respect that they were enjoying as the spouse of the great king of Bharatavarsha! Hence, insecurity crept into their mind. Finding no other way of self-defense they decided to uproot the weeds. The mothers killed their nine sons all together out of the fear of being left out by king Bharata. Neither the Mahabharata nor the Puranas mentioned anything else about the incident. The readers suddenly discover that king Bharata has adopted Bhumanyu, the son of saint Bharadvaja, as the successor of his throne. Queen Sunanda had accepted Bhumanyu’s inclusion in the family too. The people of the great land were also happy with the announcement. They were seen praising Bharata for renouncing his ‘biological’ successors for the interest of the state. However, we do not know whether the queens had lamented the death of their own children later. Were they happy with Bhumanyu’s selection as the crown prince of the kingdom! The story that has been narrated so far has reincarnated in a different form. 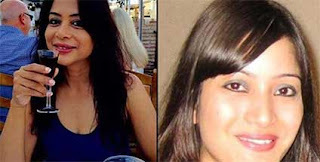 The Sheena Bora murder mystery could be termed as the modern version of that. It is an incident that has tormented the country for sometime now. The storm (mostly created by the media) would surely die down sooner or later. It would be unfair to compare Sheena Bora’s mother Indrani Mukherjea with the queens of king Bharata. However, there are few similarities between the two incidents. Sheena Bora had become an abandon child the moment her mother left her to suffer and went away. Indrani Mukherjea had actually wanted to hide her stigma but her aspirations were larger than that of the queens of king Bharata. Her objective was not limited to cover up the disgrace from her past life only otherwise; Sheena would have been killed long before. In fact, throwing out children for hiding social disgrace is not uncommon at least in India. Sheena as a child had actually died long ago when Indrani Mukherjea introduced her as younger sister instead of daughter. So, was there any need to kill her again! Here comes the third similarity into play. Indrani Mukherjea had achieved everything that she wanted to. Fame, power, position—all that were needed to live ‘the life’. Her hunger for more was so intense that she could not tolerate even a single voice of opposition. Like the queens of king Bharata she was prepared to uproot all the obstacles that may come in her way to success. Young Sheena Bora could have been the one obstacle that has challenged Indrani Mukherjea’s gallop. Now let us shift our focus towards the difference between the two incidents. The primary difference is that king Bharata has recognized his sons’ ineligibility beforehand. The murder of the nine young men has not tormented the pages of the epic. It seemed that the epic writers had seen the incident in a different light all together. They were more interested in praising king Bharata for his sacrifice for the kingdom instead of probing death of his sons. The silence itself was an indication that existence of king Bharata’s ineligible sons could prove fatal for the kingdom in future. Hence, Vidura while advising Dhritarashtra to disown Duryodhana had cited example of king Bharata over and over again. But this is not the age of welfare politics. Our ambition has made us more brutal, more selfish. So, in this cursed age raising finger at Indrani Mukherjea alone would not be justified. We cannot separate us from the sin that has been (allegedly) committed by her. It is a collective sin committed by the mankind. And those who are describing Indrani Mukherjea as a ‘unique’ case for study should turn the pages of the great Mahabharata. They would surely discover, “There is nothing new under the Sun. It has all been done before”.